Soft, silky, flowing hair…women around the world seem to be on an endless mission to find the perfect products to achieve that beautiful head of hair we see in all the magazines and ads thrown at us on a daily basis. No matter if your hair is short or long, straight or curly, no matter what the color, we all feel better about ourselves when our hair is just the way we want it. Think of how good you feel after you’ve visited the salon and received that perfect cut…how beautiful and energized your spirit feels. Wouldn’t it be great to have that feeling more often? I’ve always believed that the key to a beautiful head of hair is using good products. When it comes to your hair, this is definitely not an area to try to skimp on or get by with the cheapest products. As I’m sure many of you can relate to, I’ve tried many products over the years. 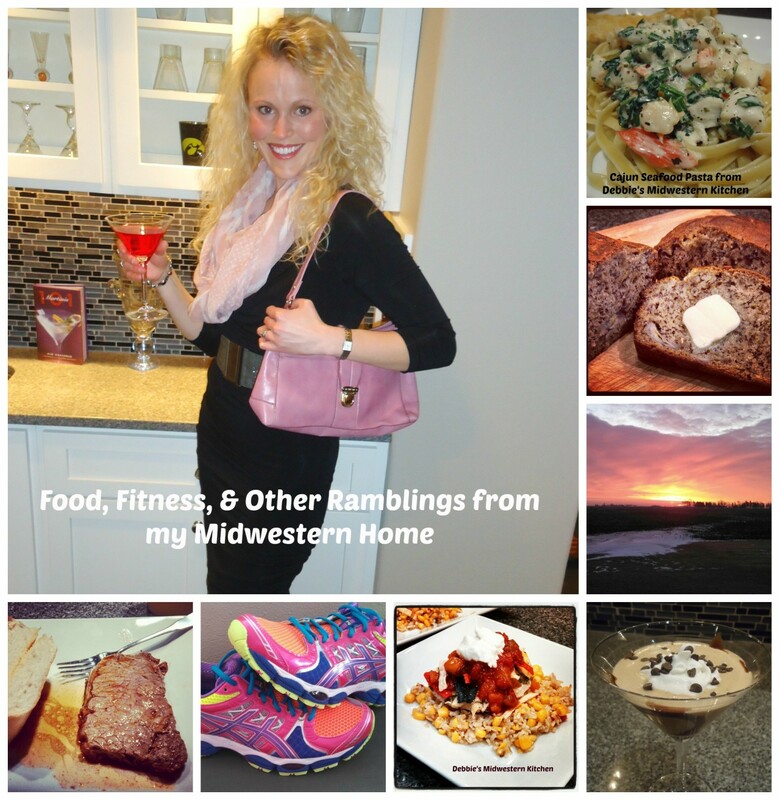 Some I’ve liked, and some I definitely would never try again. I thought I had struck the jackpot with a product that I ended up using for about 6 years, but within this past year I found a line that far surpassed what I had been using up to this point. About a year and a half ago, my hair stylist tried selling me on this new line, but I was so happy with what I was already using that I just kept saying I’d think about it. Finally, back in May of 2012, she convinced me to give it a try, and am I ever glad I did! 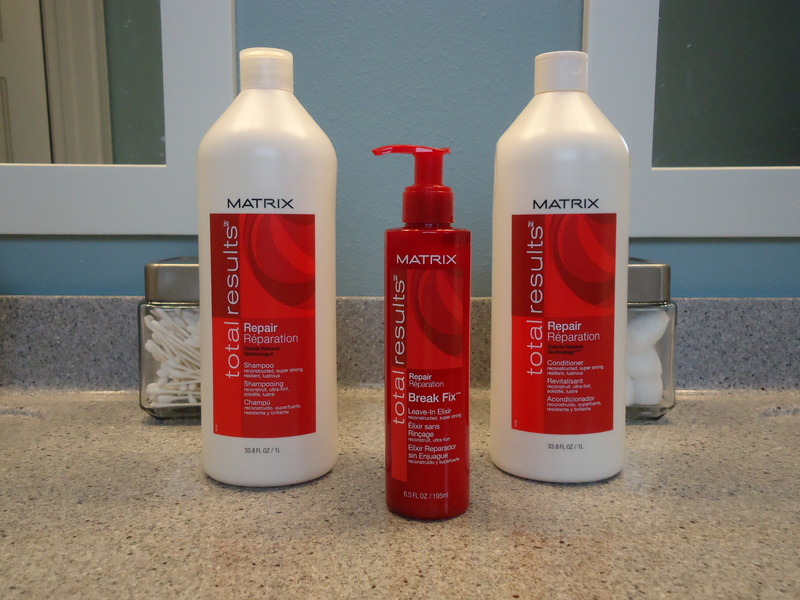 The new line that I’ve been using is called Total Results Repair by Matrix. I use the shampoo, conditioner, and (the miracle product) the leave in conditioner called Break Fix. After about six weeks of using it, I began to notice my hair felt thicker all the way through the ends and that many of my fly aways were getting longer. I wear my hair in a ponytail quite often so my hair has always broken off around my hairline by my forehead. For the first time ever, my hair is actually getting thicker at the edge of my hairline and longer. Also, my hair is about the longest and thickest it has ever been. It feels and looks healthier. The best part of this line is, that for all the amazing results you see, you really don’t have to pay that much. The large 33oz bottles you see in this picture, are sold for about $20 a piece, but sometimes you can find a bargain package where you can get the shampoo and conditioner for only $25. The Break Fix is only $16 per bottle and lasts forever. I think my last bottle lasted me about 7 months. If you are in search of that beautiful hair we all dream of, give these products a try! You won’t be sorry and you won’t break the bank…not a bad deal!